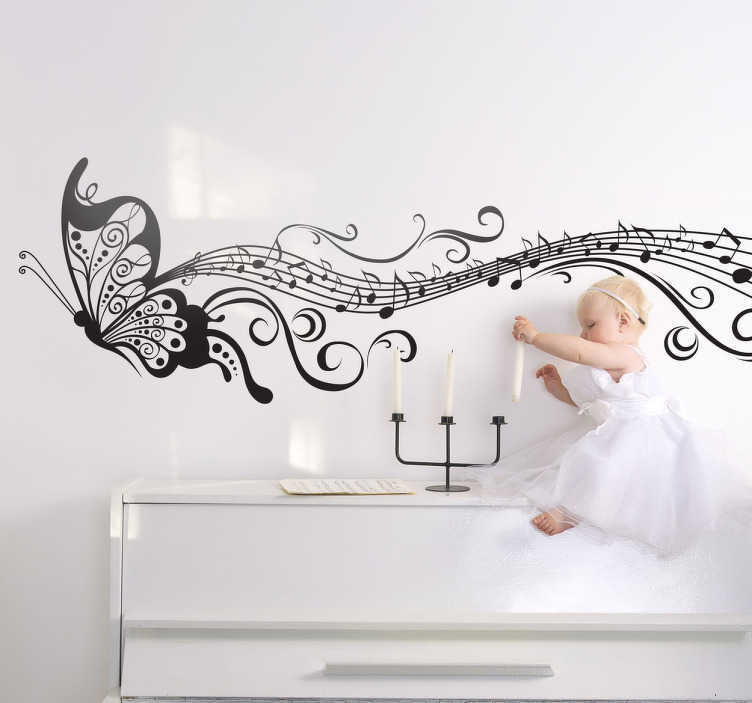 A monochrome decal illustrating a butterfly flying and leaving beautiful musical notes traces behind. Great butterfly sticker to decorate your children's bedroom or play area. Add a touch of originality to their room by personalising it with this high quality vinyl design that is available in various colours and sizes.